Remarks: Brick front beautifully decorated home on private lot. Family friendly floor plan w/ expansive family rm, lower level rec. 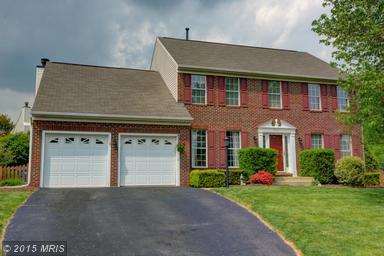 rm, 4 br on upper level, three full bathroom plus a powder room on the main lvl. High ceilings, upgraded lighting and appliances. Updated windows & door. Fenced yard, underground sprinkler. Full finished walk-up basement. Main level study. Seller has found home of choice. Directions: #66 WEST TO GAINESVILLE, #29 SOUTH, IMMEDIATE LEFT ON LINTON HALL RD. ; 2 MILES TO RIGHT ON WORTHINGTON AT "KINGSBROOKE" ENTRANCE, GO 1/2 MILE TO LEFT ON HUDSON AND .1 MILE TO IMMEDIATE LEFT ON WEATHERSFIELD; GORGEOUS BRICK COLONIAL ON LEFT!